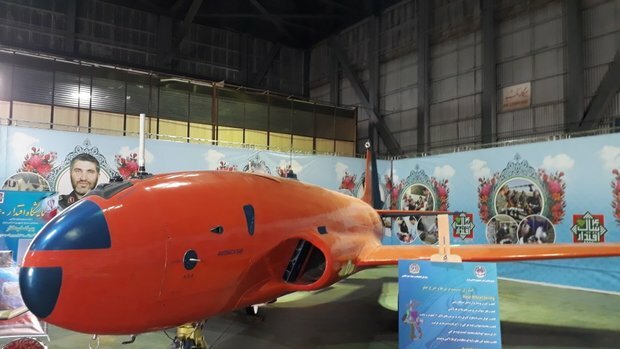 The Iranian Air Force has unveiled on Thursday its first wide-body unmanned aerial vehicle (UAV), dubbed Khodkar (Automatic), which is fully designed and manufactured at home. The UAV — an upgraded version of T-33 training aircraft — is equipped with two cameras; one located beneath the fuselage to contribute to the take-off and landing phases and another on the front side to provide an alternative cockpit view. The drone also features receiver GPS and GLONASS antennas, data transmitter antennas besides phased array ones, told Iranian Mehr News Agency. Khodkar, which uses a turbojet J85 engine, is also capable of recording data and could be employed in surveillance and combat missions. It was among a number of other fighter jets put on display at the exhibition.